American Portraits examines the life distinguished historical figures. The show featured dramatic biographical sketches on both minor and major events in famous figures' lives. 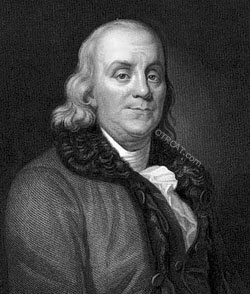 This old time radio program attempts to humanize figures such as Benjamin Franklin, Thomas Jefferson, John Adams, Mark Twain, Harriet Beecher Stowe (author of Uncle Tom's Cabin), and many others. American Portrait first show on the air was a biographical examination of Walt Whitman broadcast on February 25, 1938. Through learning history and of the lives of historical figures "Perhaps it is with their action, that we can find inspiration to meet our own difficulties with wisdom." See also: American Gallery, Destination Freedom, and Cavalcade of America. Be the first to comment on "American Portraits"